Life has been easy for Jamaican-Canadian singer and songwriter Ammoye, who has had to cope with a number of setbacks during her life. This has made the three-times Juno nominated singer stronger, and inspired Ammoye to keep following her dream of becoming a successful singer-songwriter. It’s a dream that she has never lost sight of, even over the last few years, when times were tough. Still Ammoye kept believing that one day, she would become a successful singer-songwriter. Now two years after the release of Enter The Warrioress in 2015, Ammoye returns with her new album, The Light, on July the ’28th’ 2017. The Light is the latest chapter in Ammoye’s story, and is the album she hopes that will introduce her music to a new and wider audience. Ammoye was born in Jamaica, and named after the Italian word for love. She was brought up by her grandparents in Clarendon, Jamaica. Sometimes, though, growing up in Jamaica wasn’t easy, but Ammoye was able to overcome the trials and tribulations of island life. One way was through music, which offered an escape for Ammoye. She always loved to sing, and from the age of five Ammoye knew that she wanted to become a singer. While she sang at home in the backyard, it was at church where Ammoye first sung in front of an audience. This she enjoyed and thrived upon. So much so, that when she returned home she had the confidence to sing the songs and read the poetry she had written. By then, Ammoye’s artistic side was developing and shining bright. By the time Ammoye left high school at Clarendon College, she moved to Toronto, Canada where her mother was living. Ammoye who still attended the local church, formed the Sisters In Christ group. However, the move to Toronto was where her career started to take shape. To help further her nascent musical career, Ammoye formed The Voices Of The Underground Artist Movement. This new organisation gave local artists who were similar to Ammoye, the opportunity to perform and promote their music. The new organisation was welcomed by the local artists, and was well supported. After forming The Voices Of The Underground Artist Movement, Ammoye became heavily involved within Toronto’s thriving and vibrant music scene. Ammoye was even involved in several collaborations. By then, Ammoye’s music combined a variety of disparate genres, ranging from rock, reggae and R&B to drum and bass, hip hop and soul. This was just the start for Ammoye. Over the next few years, Ammoye’s sound began to develop. Her music fused the soulfulness of her Jamaican roots with muscular groove of R&B and the tough edge of drum and bass. This sound proved popular, and Ammoye found herself singing alongside Michael Buble, and with the rock band The Arkells. By then, Ammoye was winning both fans and awards, including three Junos , which are Canada’s equivalent to the Grammy Awards. This was just part of the story. In 2010, Ammoye and Rise Ashen collaborated on the album Haffi Win, which was well received by critics. Soon, Ammoye was being booked to sing at major festivals and shows on four different continents. Suddenly, Ammoye found herself sharing the stage with Barrington Levy, Freddie McGregor, Beenie Man, Sean Paul, Chris Martin, Ziggy Marley, Chronixx, Romain Virgo and, Tarrus Riley and Exco Levi. Ammoye had come a long way since she sung in her grandparent’s backyard in Jamaica. By 2013, Ammoye was receiving recognition for all her hard work when she was nominated for Juno Awards in 2013. The following year, 2014, Ammoye was once again nominated for a Juno award. However, it was around this time that Ammoye’s life changed. That was when Ammoye underwent a spiritual experience which totally transformed her worldview. Ammoye started to rethink what her identity meant. Previously, she had felt defined by the pain and hurt she had experienced, and held back by the burdens of her past. For Ammoye: “it was uplifting, and it helped me see that piece of God in everyone. I had to put it into song.” This spiritual awakening would influence Ammoye as a songwriter. In 2015, Ammoye released a new album, Enter the Warrioress. It was well received upon its released, and critics forecast a bright future for the Jamaican-Canadian singer and songwriter. Two years later, and the self-styled “soul rebel” is just about to release her new album The Light. Ammoye admits that: “I call myself a soul rebel,” which is one of the themes on The Light. Ammoye explores this theme on the song Soul Rebel. “It’s about following your soul path, the path of your higher self. This is especially important for black women, who are told they are less than, that they don’t matter. I follow my inner voice, my intuition.” This is something that Ammoye decided to do a couple of years ago. 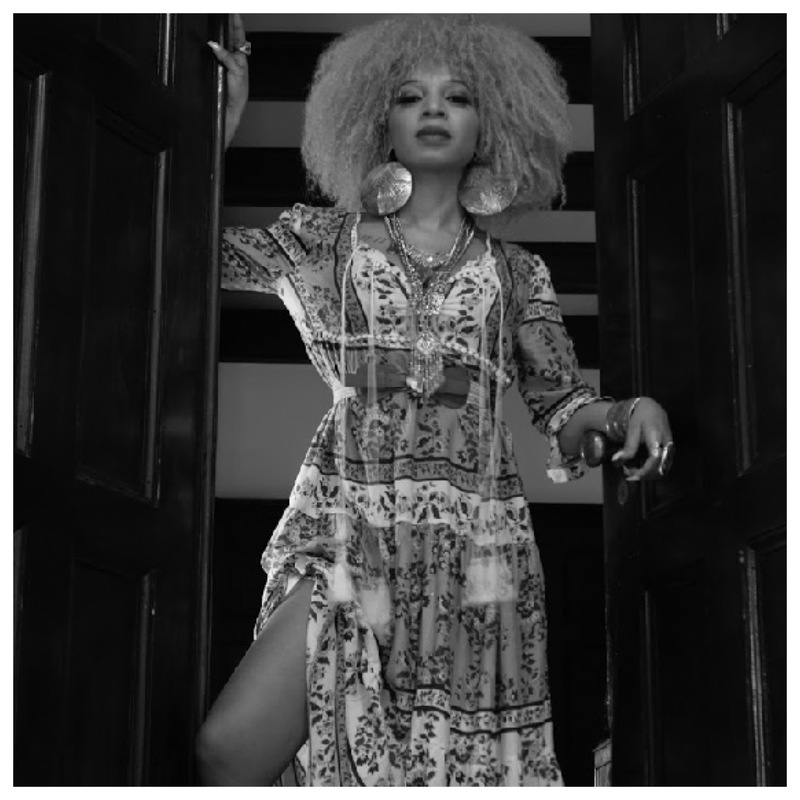 Following her intuition led to Ammoye’s spiritual awakening, and resulted in her returning home to Jamaica, where she started looking for musicians to collaborate with on her next album. Ammoye hit the musical jackpot, when two veterans of Jamaican music agreed to collaborate with Ammoye. Sly Dunbar collaborated on Jah Jah, while Donovan Germain on Don’t Count Me Out and Inna De Ghetto, two veterans of Jamaican music agreed to collaborate with Ammoye. They were joined by Dubmatix on Outta Town and Reggae Rockit Boy, while funky Kingston duo Natural High Music produced Soul Rebel, Honeymoon, Cool Gypsy Island, Cool Vibez, Guns Off The Street and Cool Gypsy Island. This all-star lineup played their part in an ambitious nineteen track album. When Ammoye writes songs, she writes from the heart. Other songs can be inspired from daily life, including melodies that she hears. “It may be something I hear in a movie, or something a friend says that moves me” Ammoye says. She also describes who she changes when she’s writing a song: “I always go into a meditative state when I’m writing and let my intuition guide me.” One such song on The Light was Jah Jah, where Ammoye was inspired after hearing a friend play a guitar riff. Suddenly, the scenario for the song started to take shape, and she began recording it on her phone. Not long after this, Ammoye was playing the song to reggae legend Sly Dunbar, who loved the song and agreed to produce it. This was a sign of how far Ammoye had come in what’s sill a male dominated music. Reggae is one of the few remaining musical genres that are male dominated. However, Ammoye is a pioneer, who is determined to level the playing field, and inspire a new generation of female reggae singer. This includes Jah9, who has been struggling to receive the recognition she deserves. Hopefully, a new wave of reggae singers will follow in Ammoye’s footsteps and make a breakthrough. This breakthrough hasn’t been easy. It’s taken time, strength and persistence. Ammoye deals with this on Don’t Count Me Out, which deals with some of the hardships and hurdles she’s had to overcome. . “I had to heal, but I was headed back to Jamaica…I couldn’t record, but I could still write. I took the tracks that Donovan gave me and sat there on the veranda, at my aunt’s, right across the beach. I get a lot of inspiration around water, and the song came to me.” This wasn’t the only source of inspiration. Ammoye also received inspiration from her bandmates, the Di Cru Band. They’re a familiar face to artists who regularly visit Jamaica. The Di Cru Band is regarded as the house band for big name artists visiting Jamaica. That was how Ammoye met the Di Cru Band, when she was opening for one of the big names visiting Jamaica. Soon, the Di Cru Band were working with Ammoye on a regular basis. Ammoye muses: “I built relationships with these musicians as we performed together. We’re just so in synch. We bounce off each other…They are my main go-to band.” It’s proving to be a successful relationship, and one that is beneficial to everyone involved as it shines The Light on Ammoye and the Di Cru Band. 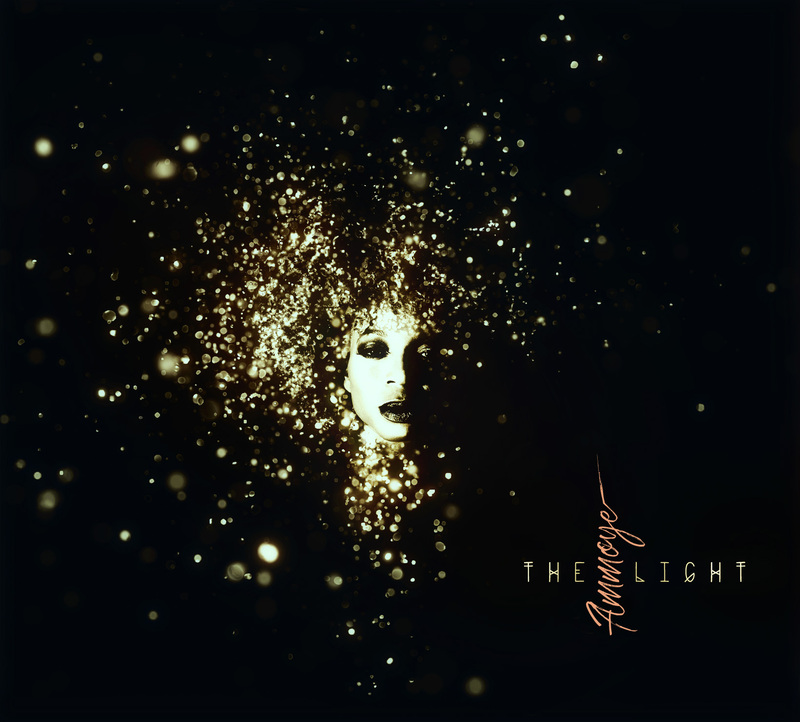 The partnership between Ammoye and the Di Cru Band can be heard on her nineteen track genre-melting album The Light. It finds Ammoye flitting between and combining dubwise, gospel, hip hop, R&B, reggae, rock, rocksteady and soul on this captivating album. The Light has the listener spellbound from the opening bars of Bloody Fiya, which features an impassioned vocal from Ammoye. This is the first of many. Outta Town with its old school rocksteady vive,showcases Ammoye’s silky, smooth and sassy vocal. Are You Ready finds Ammoye musing on the problems with the modern dating scene. This gives way to Soul Rebel, which could well be Ammoye’s theme song. Jah Jah was co-produced by Sly Dunbar, who uses his many years of experience to create one of The Light’s highlight. It features Ammoye at her most soulful, while Good Vibez has an eighties R&B vibe and Honeymoon is a delicious musical potpourri where disparate genres melt into one. That is the case throughout The Light. It finds Ammoye flitting between, and fusing musical genres, as she delivers songs about a variety of subjects, including life, love, and justice. Some of the songs are uplifting, joyous and inspirational. A quiet beautiful, uplifting and genre-defying song is Gypsy Island, that is soulful and dubby. It gives way to the soulful delights of The Lights, while Reggae Rockit Boy also reveals a soulful side. Oneness’ lyrics are full of social comment, as Ammoye delivers an impassioned plea for unity, peace and an end to violence and bloodshed. Salvation-Redemption features Ammoye at her most soulful, as she delivers a heartfelt, breathy vocal. This soulfulness returns on Where Do We Go, where Ammoye fuses Nu Soul and reggae. The dubby infused Guns Off The Streets is another song full of social comment, where Ammoye deals with the problem of gun crime in Jamaica. This is followed by the vocal and dub versions Don’t Count Me Out, a song that was inspired by the hardships that Ammoye has had to overcome. On the vocal version, Ammoye delivers an impassioned vocal, on a song that draws inspiration from reggae and soul. The dub version is one that many DJs will be definitely be tempted to spin. Closing The Light is Inna Di Ghetto, where Ammoye sings of trying to get out of the ghetto. Not only did she manage to do so, but is now one of rising stars of the Jamaican and Canadian music. Two years after the release of her previous album Enter The Warrioress, Ammoye returns with her new album The Light on July the ’28th’ 2017. It’s an ambitious, nineteen track album which Ammoye hopes will introduce her music to a new and wider audience. Ammoye’s music deserves to be heard by a much wider audience, as she’s a talented singer and songwriter. She writes music that she hopes will influence and inspire young women, and help them change their life for the better. In some ways, Ammoye is a role model, and is proof that if someone wants something, and is willing to work hard for it, they will be richly rewarded. For Ammoye, she wanted to become a singer and dreamt about that since she was a young girl growing up in Clarendon, Jamaica. While many thought that this was a pipe dream, Ammoye was determined to make her dream come true in the world of reggae. However, through determination and hard work, Ammoye had made a breakthrough in the world of reggae. 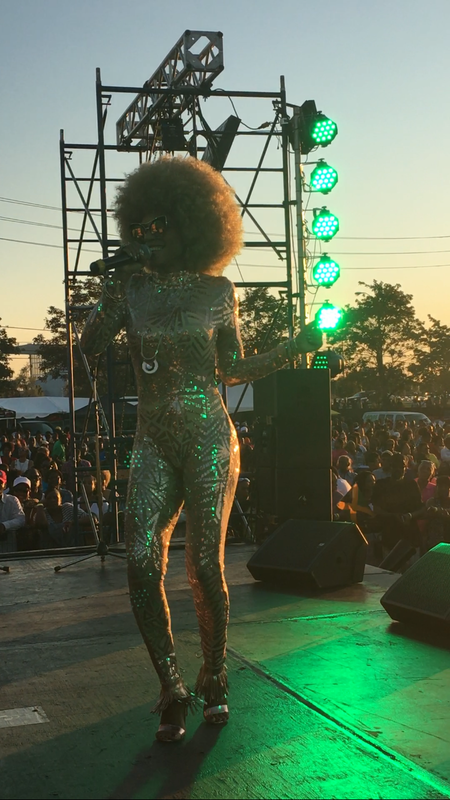 This resulted in Ammoye being recognised at the 2015 Reggae Exclusive Recognition Awards, and earlier in 2017, she was nominated for a Juno award for her hit single Sorry. Ammoye’s star is definitely in the ascendancy. 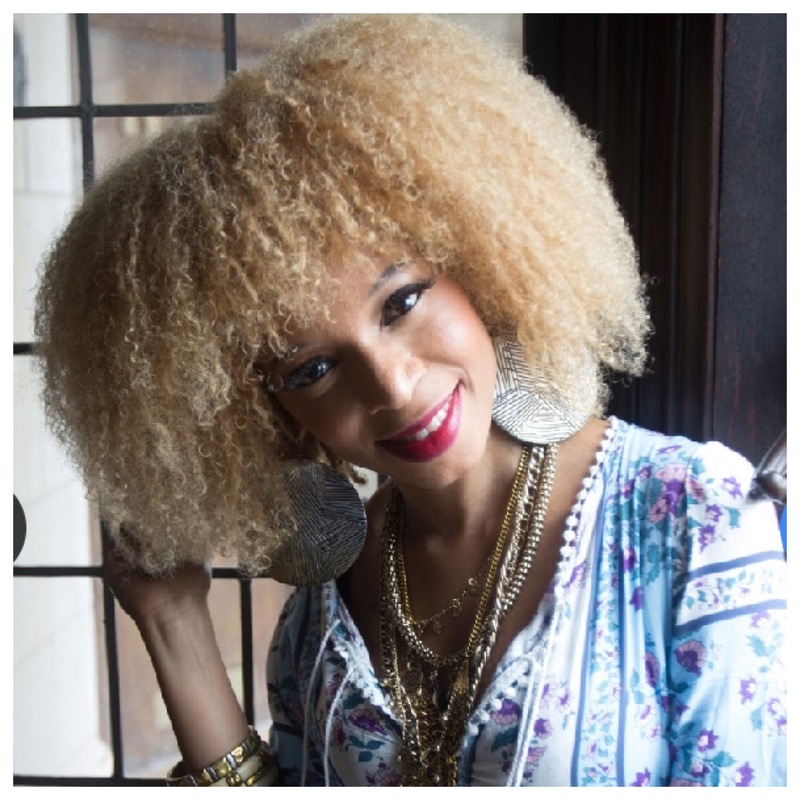 She writes music that is joyous and uplifting, and also influences and inspires. Other songs deal with justice and social issues affecting Jamaica, including gun crime and violence. However, in other songs, Ammoye deal with life, love and even the trials and tribulations of the dating scene in 2017. No subject it seems, is off-limits for Jamaican-Canadian singer-songwriter Ammoye on her new album The Light. The Light the next chapter in the story one of Ammoye, who has triumphed over adversity and dared to dream of becoming a successful singer-songwriter. That dream has come true for Ammoye who will step into the spotlight with release of her much-anticipated new album The Light.